Easy Host Way provides top-quality Joomla services. New clients are offered an automatic Joomla script installation at signup. Existing shared web hosting account holders can install Joomla with one click. With us, you can order a Joomla hosting package along with a brand new domain for as low as $2.92 per month. 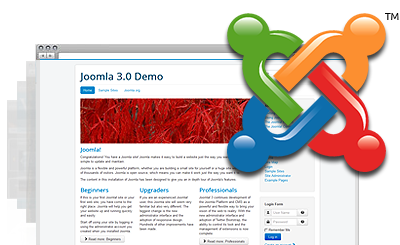 Joomla™ is a registered trademark of Open Source Matters and is not connected with Easy Host Way. Set up a Joomla-powered web site very quickly with Easy Host Way! Easy Host Way satisfies all criteria for hosting Joomla-driven sites. Easy Host Way offers an outstanding client care service.